New Delhi [India], Dec. 2 : Personal Computers (PCs) are instrumental in closing the skill gap, enabling upward socio-economic mobility and achieving universal digital literacy in the country, states an Impact Assessment Report commissioned by Intel India. The report finds that while smartphone has been a gateway to on-board first-time technology users in India, the PCs have emerged as the preferred interface for content creation, skill development and accessing information related to government, education, healthcare and employment. The report, which was prepared by Kantar Indian Market Research Bureau and endorsed by Indian School of Business, reiterates that personal computing will be catalytic in India's shift from content consumption to knowledge creation. In a collaboration with Delft University of Technology in the Netherlands and TNO - the Dutch Organization for Applied Research, Intel is investing $50 million in advance research into quantum computing. In the announcement made Thursday, Intel said along with funding, it will also provide engineering resources in the project. It will be a 10 year long collaboration. With the help of the collaboration, a scalable quantum computing technology will be developed that will used for problem-solving purposes. Intel said that the development will have its use in a wide range of fields like large-scale financial analysis and effective drug development. On Thursday, the US chip colossus Intel announced that it is going to put $50 million and engineering resources into an alliance on quantum computing. The alliance is likely to radically advance complex problem-solving. Intel Corporation is planning a 10-year partnership with Delft University of Technology in the Netherlands and TNO, the Dutch Organization for Applied Research. They will work together to make real the type of quantum computing that is would be capable of tackling seemingly insurmountable problems. According to Intel, the potential applications for the computing power comprise of intricate simulations, including large-scale financial analysis and better drug development. Yuneec International, a Shanghai-based drone and aerospace company, has been able to secure more than $60 million investment from Intel. The latter company has also invested in other drone companies, Airware and PrecisionHawk, as it wants to avoid the decline being witnessed by PC market. It has now being focusing on the commercial use of drones. Intel Chief Executive Brian Krzanich has said that a video announcement that both the companies will also be jointly developing products. Yuneec founder Tian Yu said that his company drones also include versions for consumers and enterprise users. There being no definitive cure is what that cancer so scary. Also, the available treatments including chemotherapy and radiotherapy pose harm to normal cells and affects patient's immune system. Now, Intel has come up with a new project known as Collaborative Cancer Cloud that aims to promote precision medicine. Eric Dishman, current health and life sciences writer of Intel, explained about the CCC that it will act as a service tool that will encourage personalized medicine through analytics. For precision medicine, there is a need of a person's genome to be studied so that disease's nature can be understood. Intel has developed new software known as Collaborative Cancer Cloud. It will help cancer researchers to share sequenced genomes, medical images and clinical information. The company wants to offer a software platform for a system that will most probably run on Intel-based hardware to collect data from different sources. It will allow researchers from different institutions to collaborate. Intel is not the first one to start such an initiative, which as per experts is a coming age of personalized medicine. Apple, Collaborative Cancer Cloud and many other businesses are competing to provide computing infrastructure to actualize the vision of an era in which doctors will use data from genomics, wearable devices and medical records to develop treatment for their patients. Intel Corporation's President Renée James to resign from the post to seek the position of CEO elsewhere, and CEO Brian Krzanich will take control over the world's largest chipmaker. Renée sent a letrter to her employees on Thursday mentioning about her resignation, but the letter didn't specified where she is going to join next. Renée was one among the three main international candidates for the top job two years ago. She was given the president role after she backed Krzanich in a joint pitch to the board. James, 51, said, "When Brian and I were appointed to our current roles, I knew then that being leader of company was something that I desired as part of my own leadership journey. Now is right time to take that next step". Intel Corp has agreed to buy Altera Corp for $16.7 billion. The company made this move, as the world's biggest chipmaker seeks to make up for slowing demand from the PC industry by expanding its line-up of higher-margin chips used in data centers. Merging with Altera Corporation will allow Intel to bundle its processing chips with the smaller company's programmable chips, which are used, among other things, to speed up Web-searches. Intel said in a statement on Monday that it would offer $54 per share for san Jose, California-based Altera, a 10.5 % premium to Altera's close on Friday. It was found that share of Altera were at $51.78, quite below the offer price, in the afternoon trading. Computer giant Intel is close to a deal of acquiring smaller chip maker Altera for about $15 billion. The New York Post reported that the deal price could be as much as $54 a share, a 15pc premium over Altera's Thursday closing price of $46.97. According to the report, the deal will happen most probably by the end of next week. However, the talks could still fall apart. Earlier this year, Intel signed a standstill agreement with Altera that gave the company to launch a hostile bid. The agreement will expire on June 1. In April, Altera rejected an unsolicited $54 per share offer from Intel after months of negotiations. Earlier this month, CNBC reported that the two companies had resumed talks about a possible deal. Fewer companies have upgraded their personal computers owing to which Intel Corp has sliced almost $1 billion from its first-quarter revenue forecast. Intel Corp.'s shares declined by more than 5% after the lower-than-expected revenue guidance from the chipmaker. Less number of companies replaced desktop computers that were running on outdated Microsoft operating systems, which led to weak demand for its chips. Intel said that it is difficult challenging macroeconomic and currency conditions, especially in Europe. Washington, Dec 02 : Google is set to launch a new model of its Glass headset next year that will be powered by an Intel chip and will offer longer battery life than its predecessor, a report said. 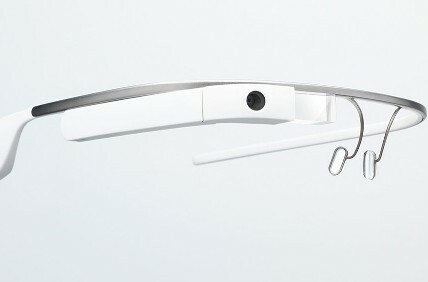 Google Glass has already introduced a few upgrades in order to add compatibility with prescription lenses and to increase the RAM. However, the shift to a new processor indicates a "thorough overhaul" of the entire device, reported The Verge. Limited battery life and a large price tag have worked against the wearable devices' widespread adoption so far. Washington, Oct 15 : As it recorded revenues of more than 14.6 billion dollars, Intel has reportedly revealed that it has sold more than 100 million microprocessors for the third quarter, signaling that its growing work in the embedded space is beginning to take off. The company reported a net income of 3.3 billion dollars which saw a 19 percent hike from last year. Its revenue, on the other hand, rose by 8 percent this year, reported PC World. Taipei: US computer chip giant Intel said its gesture-controlled technology could soon become part of everyday life as it showed its vision of a no-touch lifestyle in Taiwan on Thursday. Its stand at Computex, Asia's largest technology trade show, recreates a living space centred around a kitchen, illustrating how sticky fingers on screens and recipe books could be a thing of the past. An actress with messy hands from cooking clicked through icons and apps and scrolled through cookery pages on a large monitor using just hand motions from around 12 inches (30 centimetres) away. Washington, Jan 17 : Intel has said that the company could see "signs of stabilization" for the traditional computer market with its fourth quarter PC sales getting a boost of around two percent to 8.6 billion dollars. Intel CEO Brian Krzanich said that he foresees the PC market starting to stabilize because the company pulled in the same amount of money from PCs this time last year, and he thinks Intel chips are a pretty decent measure of how well the PC industry is doing. Washington, Jan. 04 : Chipmaker giant Intel is reportedly planning to launch a new brand of computer that runs both Windows and Android using virtualization techniques. Intel's new idea, internally known as "Dual OS," would see Android running inside of Windows, so that both the apps could run side by side without rebooting the machine, the Verge reports. Intel might introduce its new PC in the Consumer Electronics Show in Las Vegas next week, the report added. London, Dec 13 : The logo of computer chip manufacturer Intel will be printed on the inside of Barcelona players' shirts as part of a unique sponsorship deal, according to reports. According to Sky News, it is hoped that the Intel Inside branding will be revealed when a player lifts his shirt to celebrate scoring. The team's superstars including Lionel Messi and Andres Iniesta would be under no obligation to display the logo, Barcelona officials told a news conference. Washington, Nov 24 : Intel is reportedly thinking beyond Microsoft when it comes to a full-fledged 'client' operating system, and the best bet today for it is Google's Android. The chipmaker's general manager, Kirk Skaugen said that for the last decade they have been essentially 100 percent Microsoft but now with the emerging markets demand for Android is seen. According to Cnet, Skaugen explained that Android apps are written for phone, in portrait mode, and a significant percentage doesn't exist in landscape mode for larger screens. Global chip maker, Intel has introduced a new strategy for tackling evolving datacenter issues linked to the enterprise IT space. Bangalore, June 13 : Global chip maker Intel Corporation has designed and developed a new Atom microprocessor in 22 nanometer (nm) to power a range of smart phones and tablets for higher performance with less power consumption, a company official said Thursday. "Our forthcoming Atom chip and Silvermont micro-architecture will accelerate mobile computing of smart phones and tablets to enrich user experience," Intel Asia-Pacific product marketing manger George Chacko said at a preview of the latest devices here. The outgoing Chief Executive Officer of chip maker, Paul Otellini has admitted that Intel has missed an opportunity to offer its processor inside the first iPhone. Otellini said that Apple had approached the chip-maker to supply a chip for the iPhone but the two companies did not reach an agreement on the matter because of the difference on the price that Apple was willing to offer and the price estimates by Intel. He said that his gut feeling was to say yes and also expressed regret on the decision not to go ahead with the business deal with Apple.